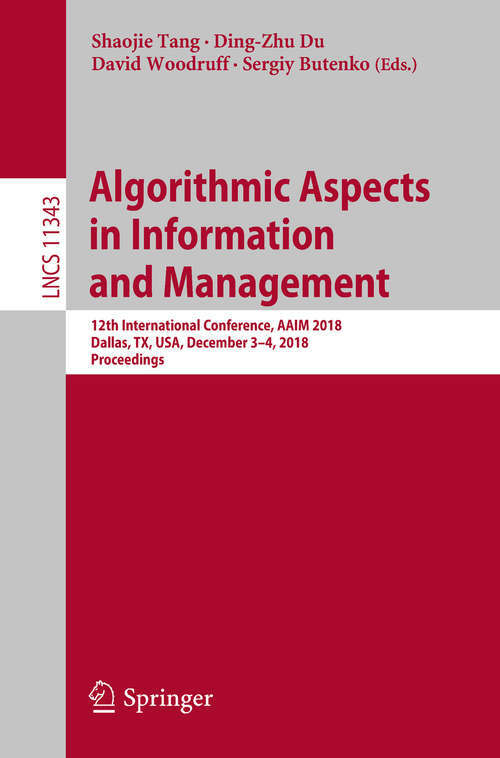 This volume constitutes the proceedings of the 12th International Conference on Algorithmic Aspects in Information and Management, AAIM 2018, held in Dallas, Texas, USA, in December 2018. The 25 full papers presented were carefully reviewed and selected. The papers deal with current trends of research on algorithms, data structures, operation research, combinatorial optimization and their applications.